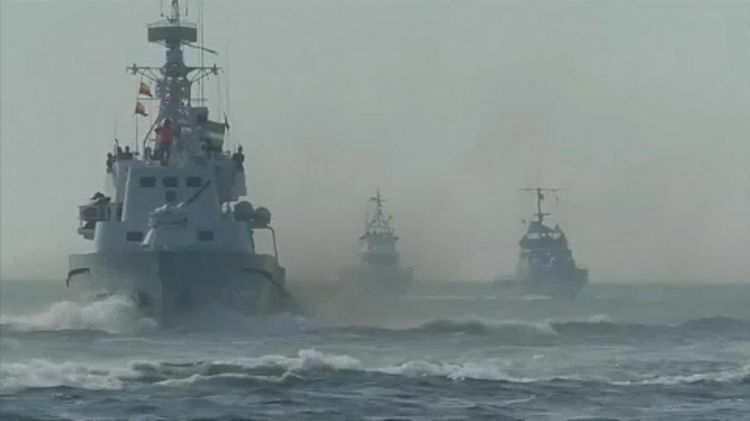 Ukrainian ships were captured by Russian powers referring the violence of waters in Kerch Strait. The tension becomes more fierce day by day. For the analysis of the situation, Eurasia Diary took an interview jointly Reinhard Heinisch and Bogdana Shytiuk. Reinhard Heinisch is Professor of Comparative Austrian politics and also chairs the Department of Political Science and Sociology in the University of Salzburg. He is also a European Studies Center affiliate of the University of Pittsburgh, USA, where he served on the faculty from 1994 to 2009. Bogdana Shytiuk is a junior researcher in Ukraine and currently at the University of Salzburg. The tension between the two states can be a signal for another war? That is a possibility but it is doubtful that anybody wants further escalation. Ukraine is not in a position to very successful in a major war with Russia and is likely to lose even more territory. NATO and the West are unlikely to much for Ukraine besides delivering more weapons but we foresee no scenario in which the West would actively intervene. How the contradiction will affect the relations between the two states? That will depend very much on how the current tensions will resolve themselves. There is still a sizable Russian-Ukrainian population in Ukraine and there are also elections coming up next year in spring. If the ongoing Ukrainian-Russia tensions become an increasingly internal Ukrainian conflict between ethnic Russians living in Eastern Ukraine and pro-EU Western Ukrainians then this would deepen the rift inside Ukraine. There has also been an increase in Ukrainian nationalism as a result of the Russian aggression which in turn makes the Russians inside Ukraine concerned about their future and their status. There are efforts underway to declare only Ukrainian as the official language and de facto relegating Russian to a second place status. Any additional open conflict between Russia and Ukraine will exacerbate these tensions. How can we understand this tension by the Russian and Ukrainian side? There are (as always) two versions. The Russians are generally the aggressors under international law for seizing the Crimean and fomenting a quasi-rebellion in two of Ukraine’s eastern provinces. They also recently build a bridge to connect the Crimean with Russia proper: Russia said the Ukrainian ships were in its waters illegally because Moscow had temporarily closed an area of water for shipping. Kiev called Russia's actions a flagrant violation of international law, because the Black Sea is free for shipping, and Crimea belongs to Ukraine. Ukraine also cited a 2003 Russia-Ukraine treaty on unimpeded access to the Kerch Strait and Sea of Azov. It said it had informed the Russians in advance of its plan to move its ships to Mariupol - a claim denied by Russia. In recent weeks, two Ukrainian vessels passed through the Kerch Straight without incident. There are also those who argue that Ukrainian President Poroshenko has provoked this incident because he wanted to impose martial law in the border provinces that are predominantly ethnic Russian and who don’t like Poroshenko and his government. This now gives a relatively unpopular president the opportunity to shore up his credentials and suppress the opposition in those provinces. But marital law was only declared for 30 days and perhaps it all goes back to normal after that. The increase of military aggression of Russia can pass on other places, for example in Middle East or another region? I doubt this because Russia has little gain from open aggression. In Syria they have been quite successful in achieving their objectives, why risk this now by provoking perhaps others (Turkey? US even?) to get involved. The Russian economy is also reeling from the sanctions which may be lifted at some point in the future, why give the Western hardliners more reason to maintain the sanctions or make them even stricter. In Ukraine, the Russians have achieved their objective, the Crimean, I am not so sure that economically speaking Russia wants the poor and economically depressed parts of Eastern Ukraine – then they would have to pay for them. A divided and weak Ukraine with a simmering conflict is probably much better from Moscow’s perspective.